We’re dedicated to providing the highest quality refrigerated trucks and transportation services in the industry. From temperature-controlled cargo to dedicated fleets, ABCO is guaranteed to be your go-to shipper. Review the options below to learn more about our trucking company and why experience matters. Our over-the-road services allow you to ship freight anywhere in the US. Our dedicated shipping services allow us to run dedicated loads to suit your business needs. ABCO offers Refrigerated TOFC (trailer on flat car) service on priority service, expedited trains. Our dedicated logistics professionals will help you build the most effective transport solutions to fit your needs. Our experienced Team Drivers are experts at taking care of our customers time critical needs. ABCO offers Rail and Port drayage services throughout the South East expanding to the Northeast, Midwest and Western markets. Reliability, safety, integrity and commitment to our customers are all core values at ABCO Transportation. Our team is always striving to provide the highest level of expertise and reliable performance for every single load. Due to our long history in trucking, ABCO Transportation continues to be a leader in the industry. 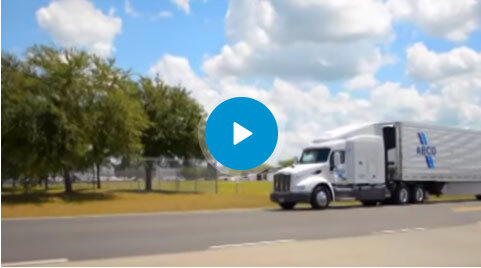 Watch this video to learn more about ABCO! This map shows our primary and secondary areas of coverage. Inquire about our ability to meet your transportation needs today!